EAM Sushma Swaraj assured aid for Russian youth who had to resort to seeking alms at a temple in Tamil Nadu after his debit card ATM PIN got locked. 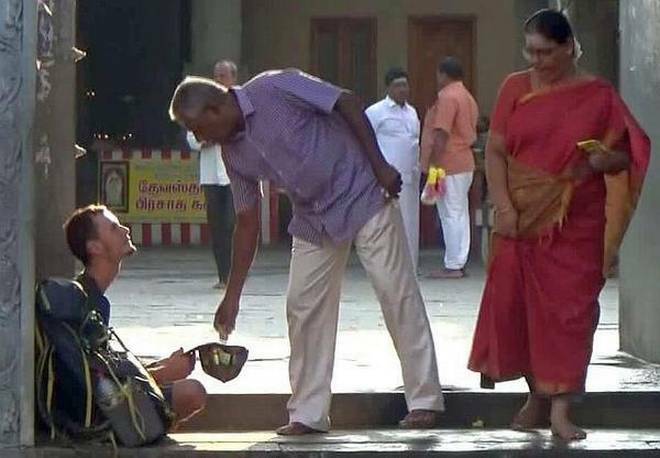 External Affairs Minister Sushma Swaraj has come to the aid of a Russian national, who had to resort to seeking alms at a temple in Tamil Nadu after finding that his debit card ATM PIN had got locked. "Evangelin -- Your country Russia is our time tested friend. My officials in Chennai will provide you all help," Swaraj tweeted late on Tuesday night following a media report about 24-year-old A. Evangelin begging at a temple in Kancheepuram. According to a report in The Hindu, Evangelin arrived in India on September 24 and reached Kancheepuram on Tuesday from Chennai and visited a few temples. According to the report, police reached the temple and after checking his travel documents gave him money to at least reach Chennai.